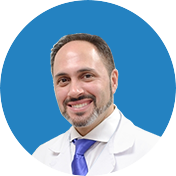 As an experienced and highly esteemed orthopedic expert, Dr. Tehrany is one of the most-sought after orthopedic doctors in the New York metropolitan area. Furthermore, at Manhattan Orthopedic Care, we have patients flying in from all over the country for an appointment with one of the best knee and shoulder doctors. For patients who live outside New York, or the United States, we have built the Fly-in Program in order to provide a comfortable stay and doctor’s visit. Our Fly-in Program encompasses a complete orthopedic care process, as well as options for recreation for both patients and family members that will help them unwind the stressful moments. With our offices conveniently located in the heart of New York, we aim to ensure that the entire visiting process goes smoothly and easily. Our kind and friendly staff nurture a homelike and compassionate environment where patients are provided with a superb orthopedic care. In order to provide a comfortable and pain-free medical experience, we heartily guide our patients and their family members through every step of the visit, focusing on the orthopedic treatment and the recovery process. This option is preferable as it offers a personal, face-to-face communication with Dr. Tehrany. 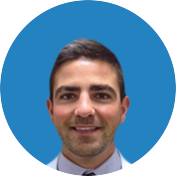 During this visit, patients are able to thoroughly discuss their problems with Dr. Tehrany, ask questions, and learn the details about the available treatment options. Performing an MRI Scan is always part of the visit, and with a personal consultation, Dr. Tehrany is able to better understand patient’s pain and find its source. For patients who are not in a position to fly in for a personal consultation, we offer a live video consultation where Dr. Tehrany evaluates their condition over Skype and discusses the available treatment options. 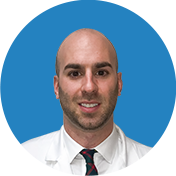 Prior to arranging the call, patients need to send their MRI Scans to Dr. Tehrany, so he can form an informed diagnosis and recommend a proper treatment. After the initial consultation, for patients who require a surgery, we arrange an additional consultation with Dr. Tehrany. 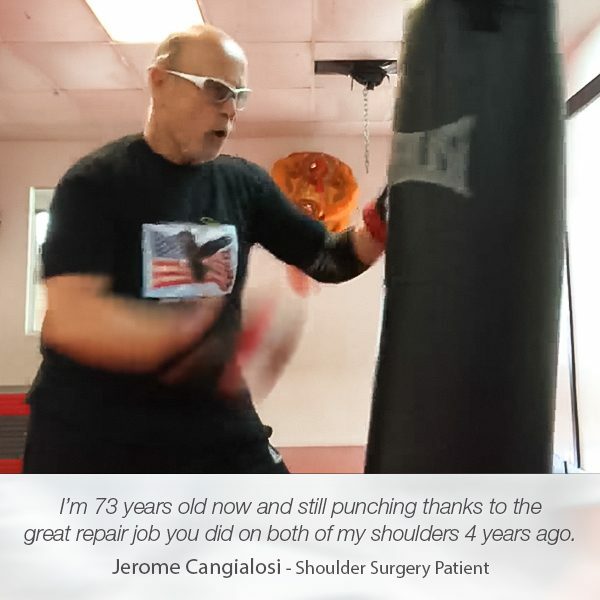 During the consultation, Dr. Tehrany describes the recommended surgery, and clarifies the details of the entire surgical process, from the moment the patient is administered in the surgery center to the last day of the physical therapy. 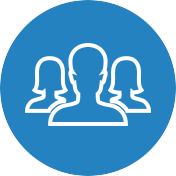 Once the patient feels comfortable proceeding with the surgery, our patient coordinator contacts the patient informing them about the available open dates. Prior to confirming the date, the patient needs to provide the insurance information. After verifying and confirming patient’s information, we email the patient forms and instructions so the patients can prepare themselves for the arrival. On the first day, we perform an in-person physical examination once again and cover the postoperative instructions and details to ensure the recovery process goes with no complications. Usually, the surgery is performed on the second day. Depending on the complexity of the surgery, patients can leave the surgery center on the same day, or a few days later. The length and the pace of the recovery period depend on the extent of the procedure that was performed. 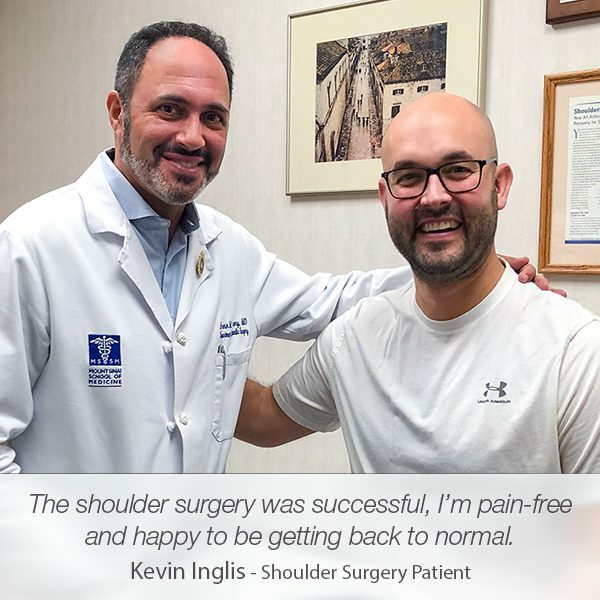 Usually, the arthroscopic shoulder and knee surgeries are followed by a short recovery process, while the open and complex surgeries require a long period of recovery. In order to experience a peaceful and successful recovery, we instruct our patients with detailed and strict post-op guidelines. 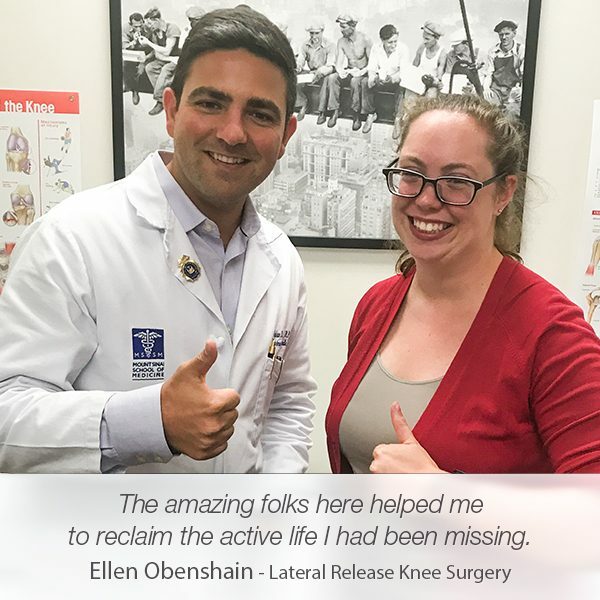 During the recovery process and the physical therapy, patients are welcome to enjoy the beauty of New York City if their physical condition allows. 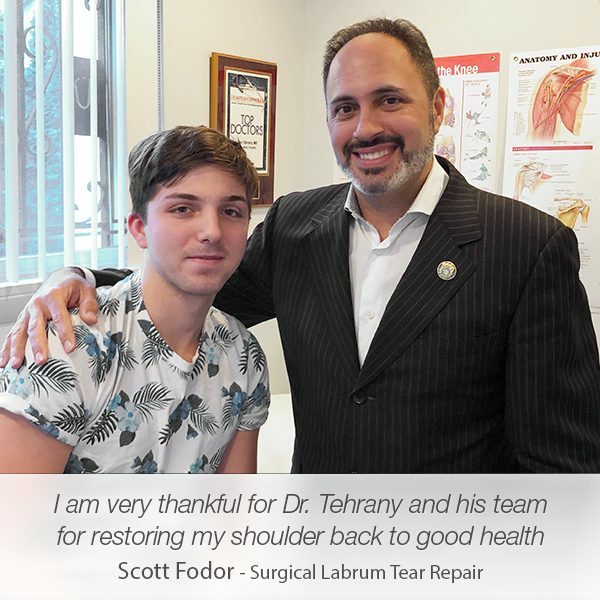 During their stay in New York, patients have one or more post-op follow ups with Dr. Tehrany. After they return home, we schedule video calls with the patients and we do the follow up via Skype. For patients who undergo complex surgeries, as well as patients who need medical attention 24/7, we provide private duty nursing to ensure that patients feel comfortable and at peace with the recovery process. For More Information about the Manhattan Orthopedic Care Fly-In program, please contact us.